Here is the video to understand better. 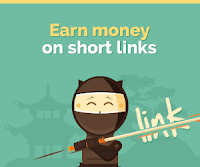 shorte.st is a link shortener website which is connected to advertising network so now you get paid when you shorten a link and make someone click on it. An easy way to earn extra money.Yes, this to true.If you also want to earn money by creating short link and sharing. 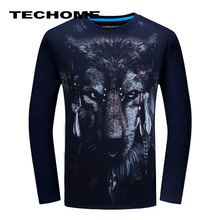 Click here to Sign Up for shorte.st.Please Sign Up from this link. If you have the website or youtube channel then this is the add-on for you to make some more money. If you don't have the website also no problem.You can earn money.Suppose take a post in any website and copy URL paste it in shorte.st. Then copy the shortened link and share with your friends in WhatsApp, Hangouts, Hike or anywhere to your friend. You can also comment on any post and attach this link and say.Hey, check out this link like that.You also tell what is the link for. 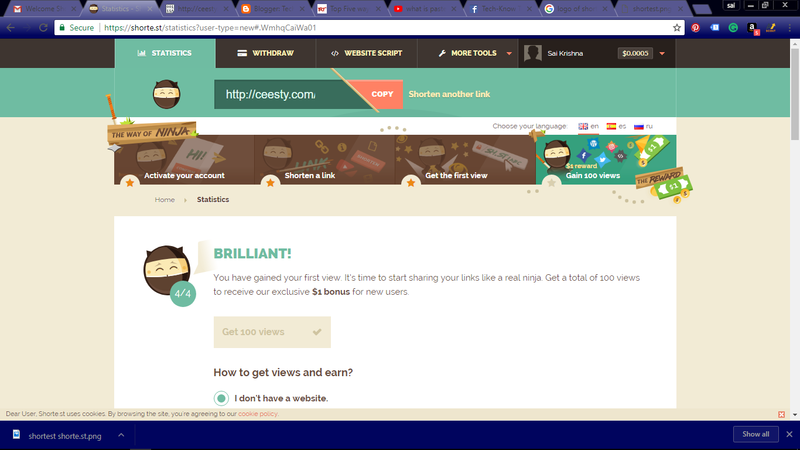 Not only website posts you can also take URL from YouTube videos and shorten it and share. I will let you know how to create an account and how to create the short link. For signing up click on the link given above. Now for signing up click on Join button on the top right corner of the website. 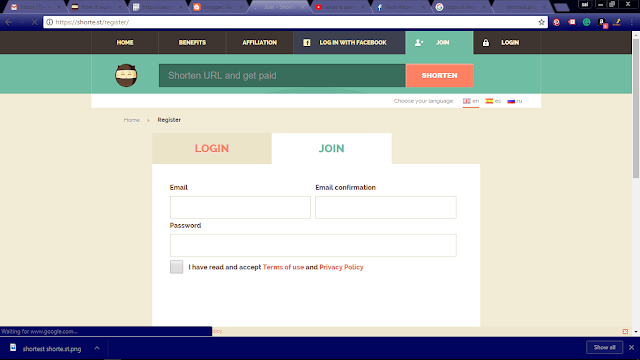 In this Join, form enter your email and password which you remember, tick the terms and conditions checkbox and click on register button. Now an email will be sent to your email which you have mentioned while registration. In the email, you will be having a button for verification email click on it your account for shorte.st will be verified and successfully created. Now your account is successfully created. Now go to the website and click on login button.enter your login credentials. 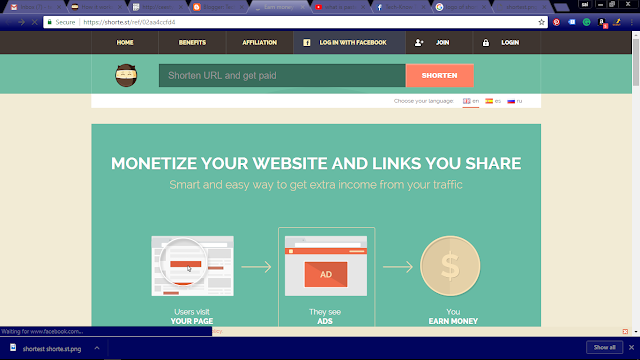 Now we will see how to shorten the URL and use it to get money online. Once you login to the website its homepage is opened. Copy the URL which you want to shorten.Now on the home screen, you can find text box. Paste the copied URL into the text box and click on SHORTEN. Then the link will be shortened. You can see the shortened link in the text box.Now click on copy button to copy the shortened link. that's it.Now you can earn money if anybody clicks on this link.Share this link to get the link clicks and earns money.Happy earning. You can also check my YouTube Video for more detailed Explanation.